Oil and gas-rich Azerbaijan is emerging as a horticultural force to be reckoned with thanks to good investment opportunities for greenhouse growers, such as mild temperature in winters, high sun radiations, good export conditions to Russia and of course low energy costs. 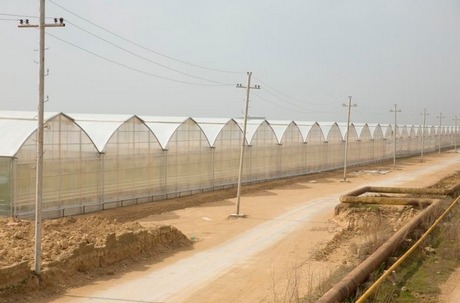 The Baku-based Grow Group Azerbaijan started out purchasing small greenhouse bitunnel from Richel 4 years ago. Experimenting how to grow cucumbers and tomatoes under low structure (about 3.50m) and small scale (5000m²), they quickly understood that the key of success for this business is to have a high greenhouse for better climate control. Now this company is growing Baku tomatoes and large pink tomatoes under 6.5 ha of Richel 12.80m multispan, a 8.50m high greenhouse covered with double inflated film. Additionally to their own production, Grow Group Azerbaijan is now also active in developing greenhouse business in Azerbaijan. Their activity includes the promotion of Richel Greenhouses, work as a Turnkey contractor for greenhouse projects, crop consulting and supply of consumable marketing and distribution to Russia. “This year we’ll build 5.5 hectares and continue building next year,” said Rufat Mammadov, Grow Group Azerbaijan’s General Manager. Although they currently concentrate on vegetable production and assisting other growers, the greenhouse being built next year will also be their first foray into raising young plants. Not only do Grow Group produce crops and act as distributors for Richel, they also provide consultancy for other growers in Azerbaijan, offering advice on anything from cold-store equipment to coco peat and fertilisers. 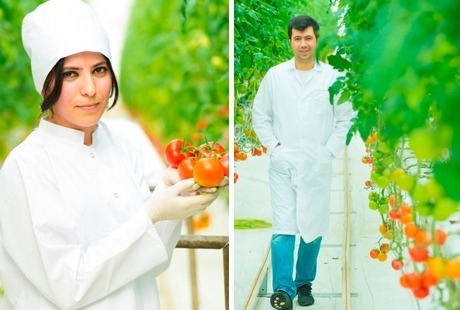 Unlike European growers who generally have a farming background, Azerbaijani investors tend to be businessmen with little horticultural experience; meaning there’s an opportunity for Grow Group Azerbaijan to offer knowledge and information, much of which has been garnered through partnerships with Dutch horticultural training schools and advisors. But perhaps more interestingly, Grow Group Azerbaijan is also acting as a marketeer, selling the tomato and cucumber produce into the high priced Russian market. When asked how the political situation in Russia has affected the vegetable market, Brice Richel, Richel’s Sales Director for CIS Countries puts it succinctly: “Actually the isolation of Russia is rather positive for this country. They [Azerbaijan] now export to Russia because Russia try to substitute import from Turkey, China and Ukraine. Prior to Russia cutting economic ties with Ukraine, 10% of Russia’s cucumber and tomatoes supply came from Ukraine, with over half of Ukraine’s 600 hectares of greenhouses producing specifically for export to Russia. This is a huge tragedy for Ukrainian growers, but it has increased opportunities for other countries”. Additionally to this, Russia is more and more willing to reduce imports from Turkey which is a NATO member. As today, Turkeys balance in tomato and cucumber import to Russia is about 30-40%, Putin’s wish is to increase food safety not only by developing greenhouses in Russia but also by cooperating with other countries like Azerbaijan, Kazakhstan and Belarus,” says Brice. 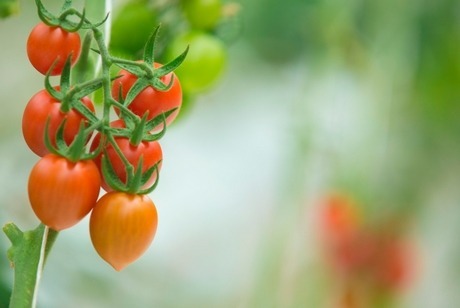 So, in spite of competition from tomato producers in the Netherlands and Poland, the Russian market will pay a premium for Azerbaijan’s Baku tomatoes, with prices recently reported to have reached $10 per kilo. And what next for Grow Group Azerbaijan? Will they stay focused on Azerbaijan, or venture into neighbouring countries? “For now we are serving greenhouses and doing the service for growers in Azerbaijan. As for selling we go to Russia where we do business in Moscow and different cities in Russia,” Rufat Mammadov replies confidently.